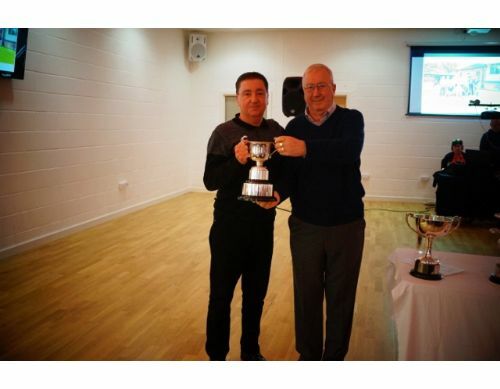 Club Vice-President Alan Mooney presents Graham Law with the Wilkinson Trophy. 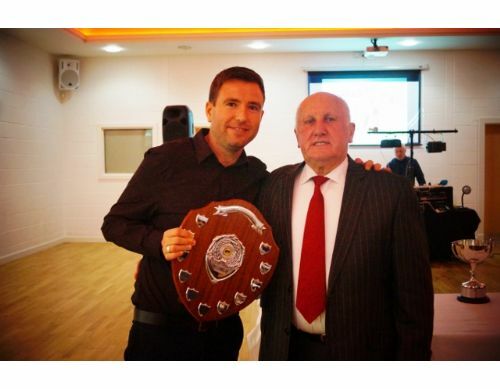 Club President Liam Cormican presents Lee Fletcher with the Presidents Shield. 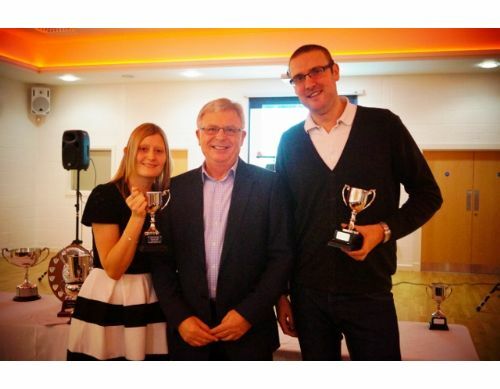 Club Honorary Vice-President Keith Bradley presents Amanda Ridley and Ben Phillips with their Recognition Awards for reaching the final of the Waterloo Mixed Pairs Handicap. 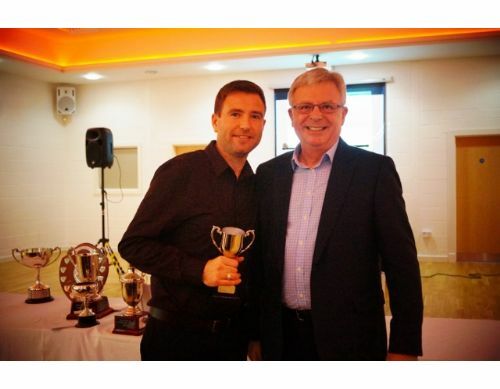 Club Honorary Vice-President Keith Bradley presents Lee Fletcher with his recognition award for reaching the final day of the Waterloo Handicap. 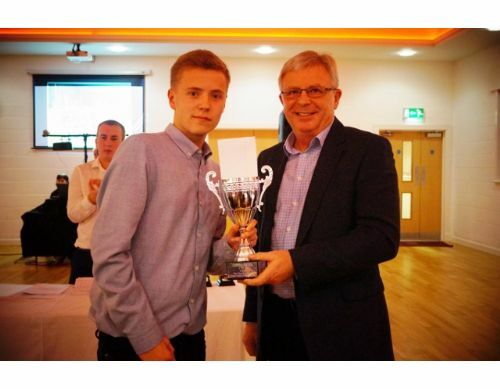 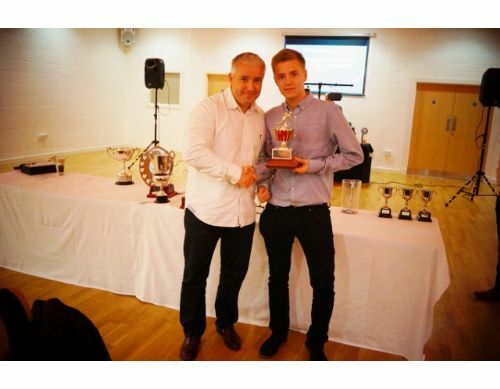 Gary Ellis presents Matt Sands with the David Lloyd Youth Trophy. 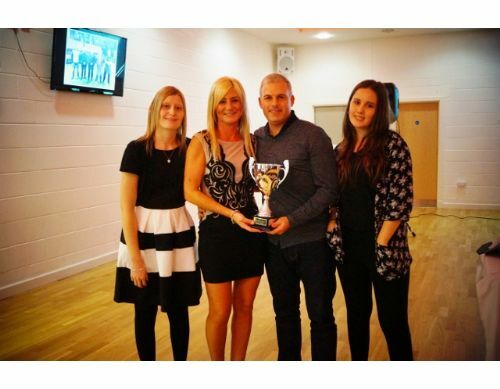 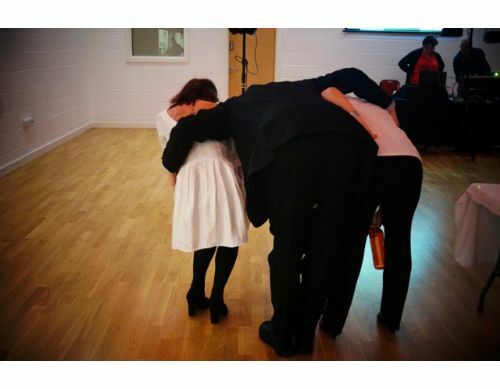 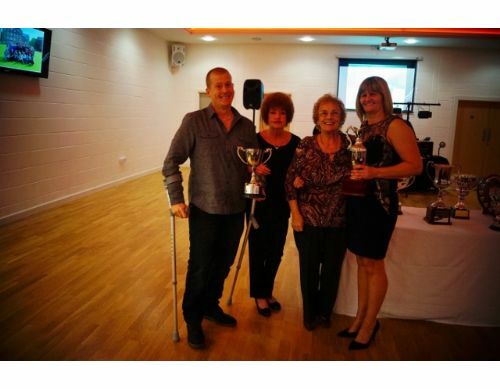 George Ridley's Grandaughters Amanda and Lorna present Denise Hodge and Dave Carter with the George Ridley Mixed Pairs Trophy. 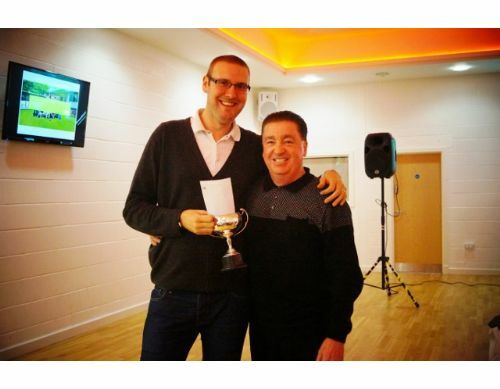 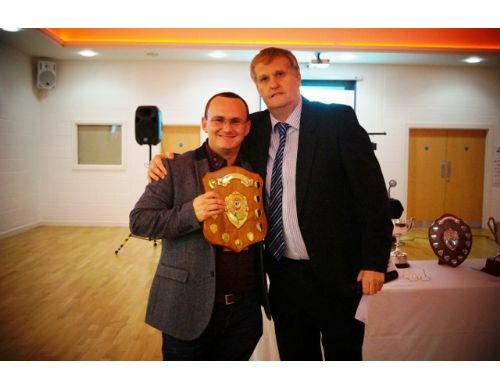 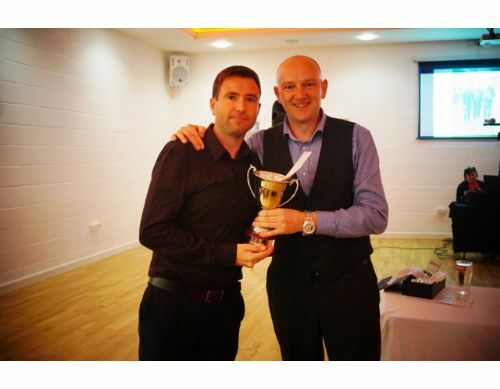 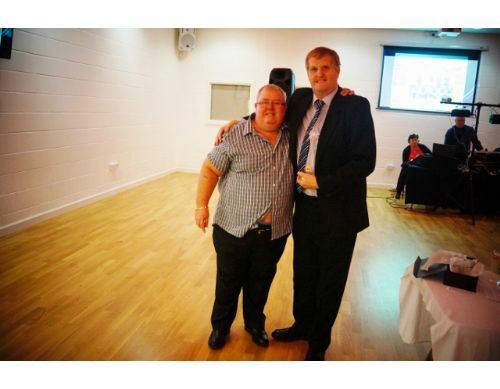 Former Altrincham & South Manchester League President Andy Nolan presents Steven Ridley with his surprise Recognition Award. 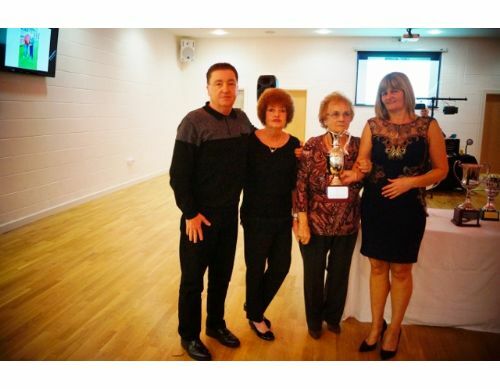 TEBL Chairperson Linda Cooper and League President Margaret Wielding present Pete Smith and Cathy Wall with the Doris Armson Trophy. 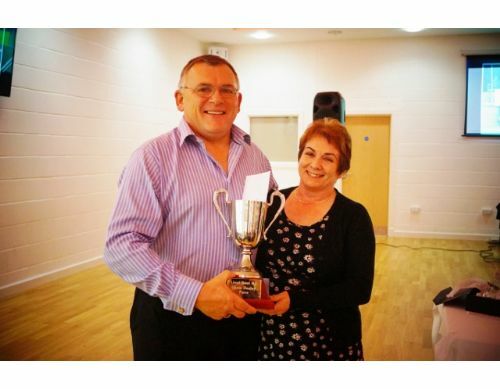 TEBL Chairperson Linda Cooper and League President Margaret Wielding present Mike Geraghty and Cathy Wall with the Alan Wilkinson Trophy. 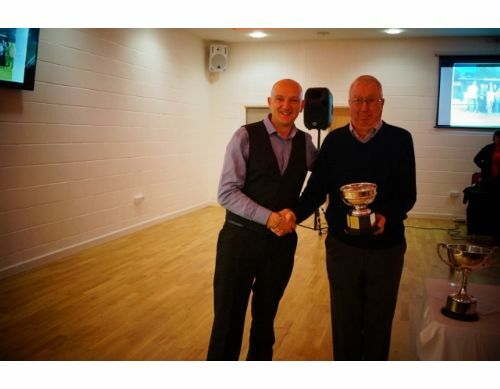 LV League Committee Member Norman Yearsley presents Chris Alderson with the LV League Award of Merit Trophy. 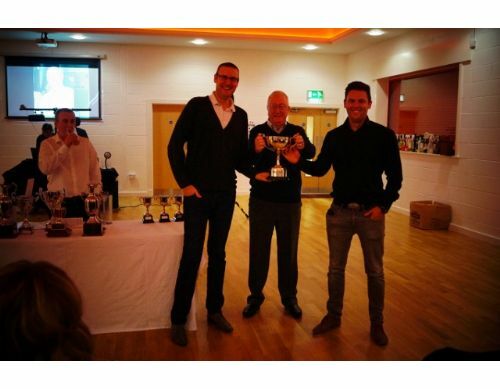 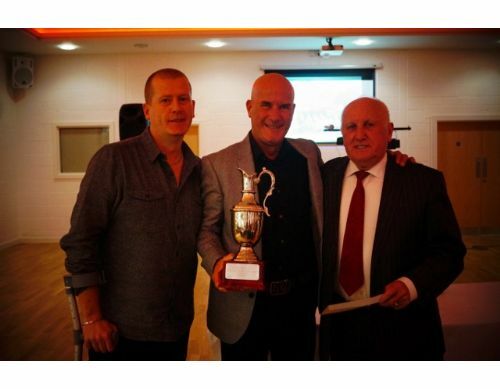 LV League Committee Member Norman Yearsley presents Ryan Sandham and Ben Phillips with the League Pairs Trophy. 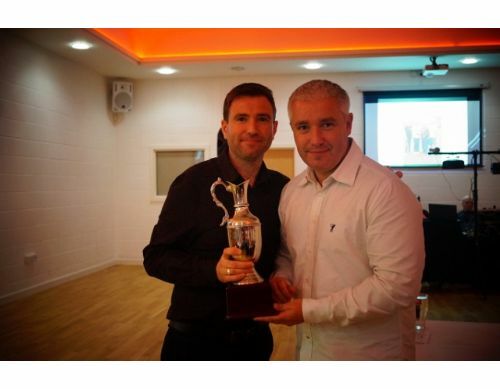 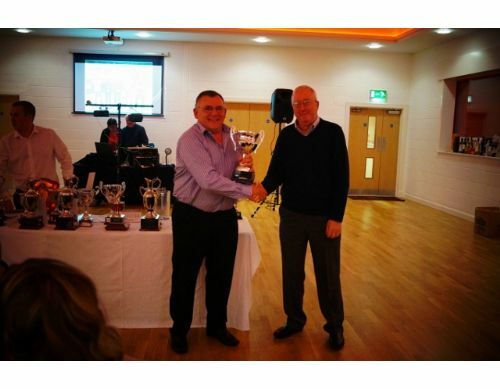 LV League Committee Member Norman Yearsley presents Liam Cormican with the LV Veterans League Knock-Out Cup Trophy. 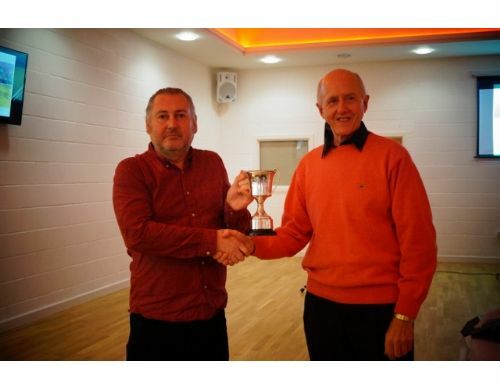 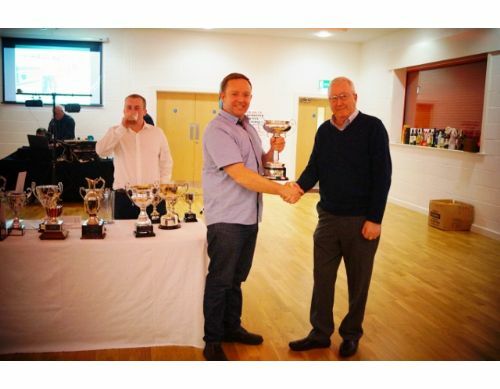 LV League Committee Member Norman Yearsley presents Mike Geraghty with the LV 1st Division Knock-Out Cup Trophy. 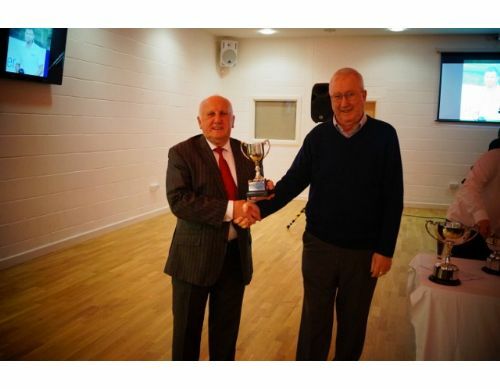 LV League Committee Member Norman Yearsley presents Craig McGuigan with the LV League Derek Ford Trophy.